Just recently one of our clients was walking their greyhound on-lead late in the evening and was confronted by a pregnant pit bull off-lead. The pit bull attacked the greyhound, latched onto its neck and just held on. It held on so long that police arrived and had to pry open the dog's jaws. The greyhound was rushed to the University of Pennsylvania and the owner was uncertain if it would live or die. 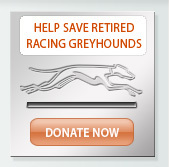 A few days, and many thousands of dollars later, it appeared that the greyhound would indeed recover. A police report had been written up on the incident and it was clear that the owner of the pit bull should be responsible to pay whatever costs were involved for the greyhound's care. The bill was most likely in the $6,000-$10,000 range and the dog could not be released until payment arrangements had been made. In this case, the owner made his own payment arrangements in order to get his greyhound released with the intent to collect the money at a later date. Would the pit bull's owner pay, or be able to pay? Or would the bill end up resting squarely on shoulders of the greyhound's owner? Hopefully, most greyhound owners will never encounter a situation such as this, however if your dog does get bitten, it is imperative that you get the other dog owner's insurance information - and get it quickly! If they have homeowner's insurance, you are more likely to get paid than if they have to pay you directly. 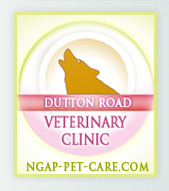 If the other dogs owner gives you a difficult time, tell them you'll turn it in to the NGAP's attorney. The moral of the story is that whenever you are confronted with any dog that is running free, you need to turn around and get as far away as you can as fast as you can. The same thing applies to leaving your own dog off-lead. 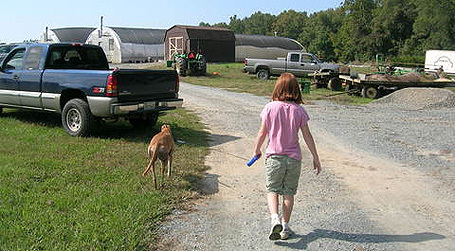 After 20+ years of adopting greyhounds, whenever I hear a story about a greyhound off-lead that met a tragic end, the owners almost always say that their dog had always listened, that it had never taken off on them. It only takes one time for your dog to not listen and die. One of my favorite phrases as the NGAP Director is, 'avoiding the window of opportunity'. 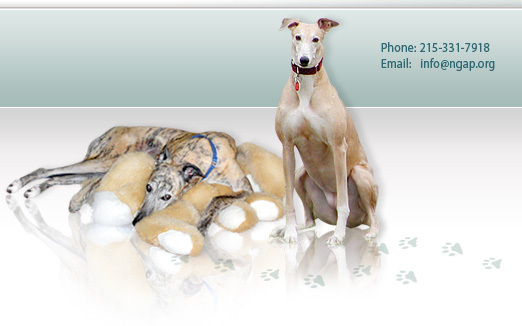 We all love our greyhounds dearly and we need to do all we can to keep them alive and healthy.